Choose from a black pure wool felt appliquéd Spaniel on a red melton or an ice blue pure wool background with a coordinating zip,side tab and polka dot cotton lining. 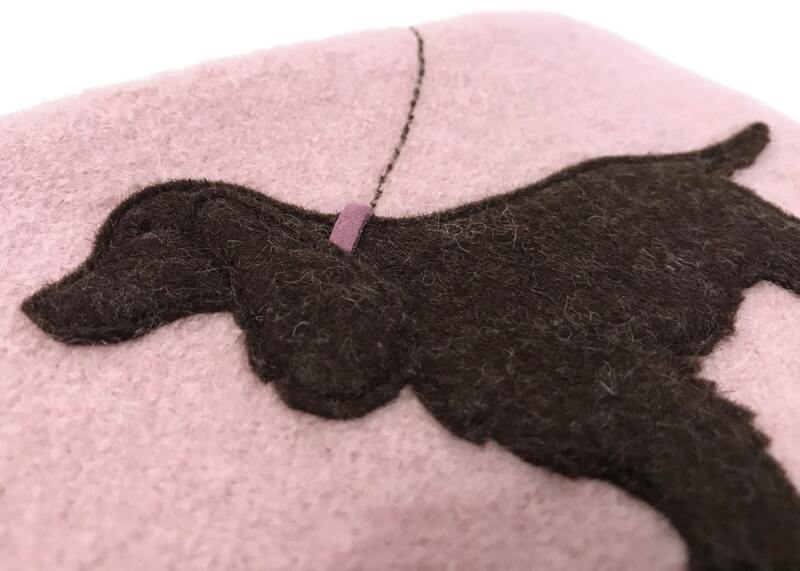 Or a chocolate brown pure wool felt appliquéd Spaniel on a rose pink or ice blue pure wool background with a coordinating zip,side tab and polka dot cotton lining. Beautiful purse, it made loosing my other purse almost worth it!